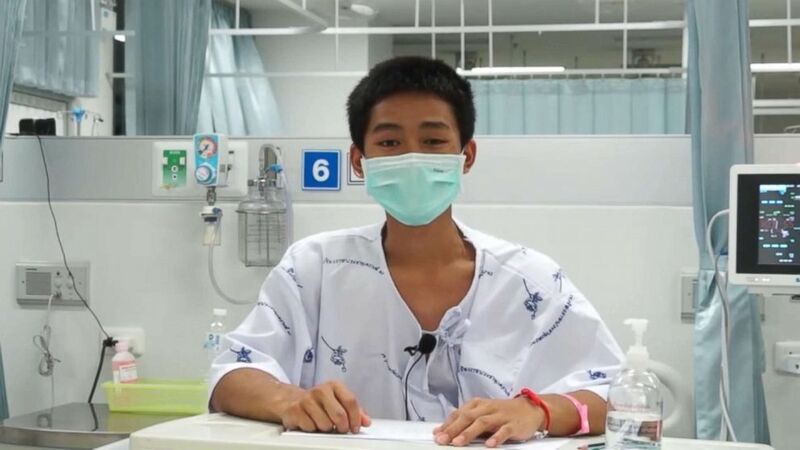 Dr. Pak Loharnshoon of the Royal Thai Army — who stayed with the boys in the cave as authorities devised a plan to get them out and was dubbed "Superman" — visited the group inside the Chiangrai Prachanukroh Hospital in Chiang Rai, Thailand. In photos posted to Loharnshoon's Facebook page, he is shown giving each of the boys a big hug and rallying the "Wild Boars" team members in a huddle. In the same Facebook post, the doctor wrote about how impressed he was with the "determination" and "optimism" of the whole team, even in a "crisis situation." In his post, Loharnshoon also recounted how the boys had dug a hole — as deep as 16 feet — to try to crawl to safety. He also commended their coach, calling him a martyr, and said that overall, the health of the group was much better than he had expected.